The benefits of moving to the cloud for a small business can be substantial, but your company must also be aware of some common challenges to overcome during the migration process. In this blog post, we will recommend five steps that will help your small business migrate to the cloud efficiently and effectively. Your small business is rightly excited about gaining the benefits of moving to the cloud. However, it makes sense to take some time to prepare for this important process and to be aware of the challenges associated with it and how best to overcome these obstacles. 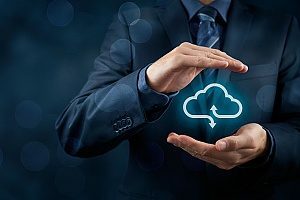 A recent survey of 358 IT and business executives conducted by THINKstrategies and INetU found that 43% had experienced a failed or stalled cloud implementation. This high percentage underlines the real problems that can occur during cloud migrations. Problems during the migration process can result in disruptions in operations, interoffice battles, increased transition costs, and lost sensitive data. There is nothing more frustrating for a small business, which is expecting to benefit from moving to the cloud, than experiencing costly problems as a result of a difficult migration. As with most important things in business and in life, careful preparation is usually a key to success. In order to prepare effectively for a cloud migration, it is important for your company to first conduct a comprehensive assessment of your current application portfolio. This review will determine which applications will run better and cheaper in the cloud, which should be replaced by cloud-friendly applications, and which should remain in-house. Licensing agreements should also be closely examined with your current vendors and your carefully chosen cloud provider. After completing this assessment, your company can then draft a thorough cloud migration strategy, which considers which parts of your infrastructure and technology assets can simply be transferred to the cloud, known as “lift and shift,” and which parts need to be redesigned or replaced. This part of the process is crucial as your company will likely have to make an investment to improve some of your infrastructure and customized applications before moving them to the cloud. It does not make sense, however, to transfer inefficient infrastructure, applications, and other components to the cloud to save money as it will ultimately cost more to repair and update them in the long run. As mentioned previously, some applications and systems will work better in-house and don’t need to be replaced or transferred to the cloud. The next part of the cloud migration strategy is the exhaustive planning of the timing of the transition and the determination of which applications and systems should be migrated first and in what order the others will follow. In addition, your company should reintegrate their third-party applications for use on the cloud and pilot test them before the transition begins. For a successful cloud migration, it is critical to seek out input from your company’s leadership and key personnel and address any concerns they have about the process. It is important to understand how each part of the company will be affected during and after the migration in order to minimize any disruptions. The support of these key stakeholders is crucial to ensure this process runs smoothly. In addition, your company needs to work with your IT staff to redefine their new roles and activities during and after the cloud migration. For example, moving to the cloud often reduces the amount of operations and maintenance time, and enables the IT team to spend more time on development, data analysis, training, and completing other necessary tasks. Your company must ensure that your data is protected during the transition process as well as when it is in the cloud. To accomplish this, your company should obtain third-party reports analyzing the security measures of the cloud provider during and after the migration process. One useful measure of a cloud provider’s security measures and overall service level that should be closely examined is their Service Organization Control 2 or SOC 2 Report. 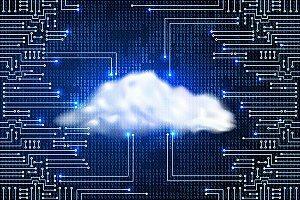 When determining your cloud provider in the preparation process, your small business should avoid any chance of “vendor lock-in.” This undesirable situation can occur if you choose a cloud provider that stores and secures data in a certain way that is not standard among other cloud providers. Your company should ensure that your data is secure, but that it will also be easily transferrable and accessible for use with another cloud provider if necessary. In addition, as part of the preparation process, your company should take the time to consider which cloud model (private, public, or hybrid) works best to ensure data security and which provider offers you the best cloud solution to meet your business objectives. Companies moving to the cloud frequently discover that it involves more time and cost than they originally estimated. 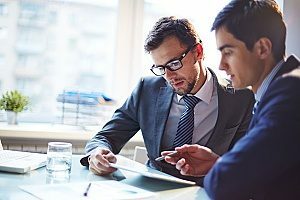 By following the proper preparation process described above, your company can avoid some of these issues. However, it is important to realize that some redesigns and changes to applications and systems will be necessary and that there will invariably be transition issues that will cost time and money to overcome. Key IT personnel and cloud stakeholders will also likely be working additional hours, which will result in increased labor costs as well as less attention to other functions. During the planning process, your company should allow for additional time and allocate additional funds to account for these factors. A cloud migration is an important and complex process for any business. In order to most effectively carry out the migration, we recommend that your company work closely with a trusted IT Support partner such as Network Depot. These IT experts have the experience and the expertise to work with you during the critical planning stage and to help you execute your cloud migration plan effectively throughout the process. With the help of a skilled IT Support partner, your small business will be prepared to overcome any challenges during the migration process and quickly start to reap the benefits of moving to the cloud.